Different Steak Cuts: Find the Yummiest Cut for You! - Oh Snap! Let's Eat! 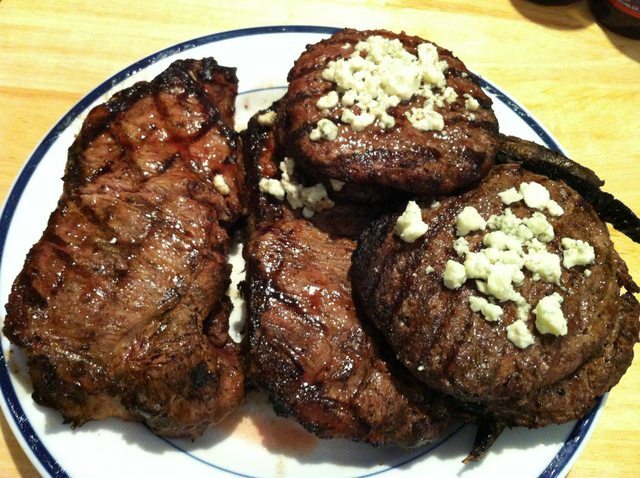 Rib Eye – The Rib Eye is the most fat cut compared to other cuts. This is also probably why it is so juicy and tender. I love this cut, but sometimes it’s a little too much fat for me. 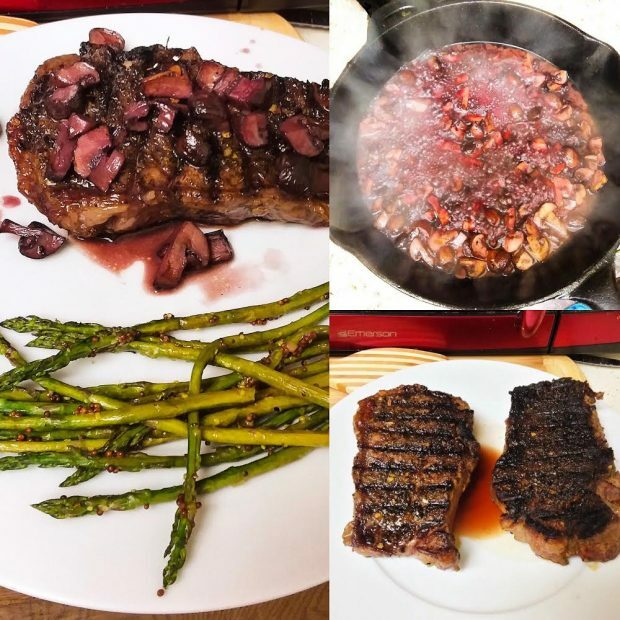 New York Strip – Tasty and one of my favorites. This cut is tender and marbled, but not as fat as the Rib Eye, which makes it perfect for me! This was the cut we chose for this grilling experience. Tenderloin – So, the Filet Mignon cut is actually part of the tenderloin! The tenderloin is lightly marbled. The cut is the most tender of the cuts as cows don’t use this area very often. T-Bone – This cut is from an area called the Short Loin. It’s really got two different meats on each side of the T-shaped bone, which is the New York Strip and also the Tenderloin. With the T-bone, the New York Strip is the larger side of meat, while the Tenderloin is the smaller side. Porterhouse – As it turns out, the porterhouse is really like a T-bone. It is also from the Short Loin area, and has two sides split with the bone. The difference is that unlike the T-bone cut, the Porterhouse has the Tenderloin as the larger side of meat and the Strip as the smaller! 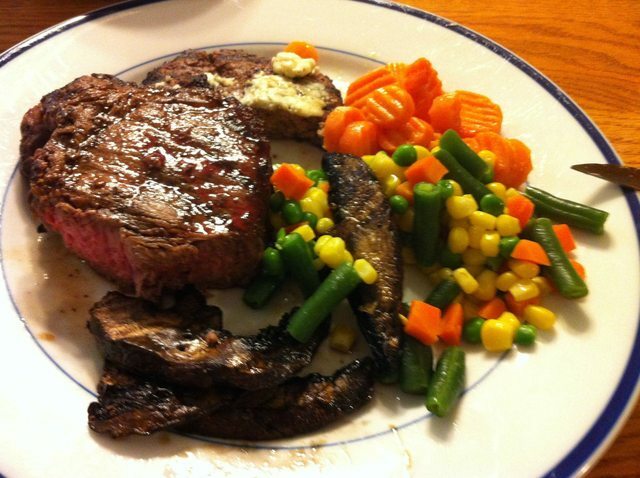 Final Masterpiece: Steak, Bunless hamburger with bleu cheese Portobello Mushrooms, Mixed Veggies! What about sides? Well, it’s summer, and it’s the perfect season to grill ALL the things. So what we did was grill up some sweet potatoes (cut them up in slices, and omg so delish! Not pictured.) and portobello mushrooms! Along with that we added some mixed veggies to the mix. Paleo vs. Vegan: Which Should You Choose? Summer Fruits and Vegetables - What’s In Season, What To Eat! Thanks! It really was good! I can’t wait till our next steak day! Looks fantastic! And hey, thanks for stopping by my blog, I look forward to catching up on yours. Thanks! Nice blog btw! :) Food looks delish! 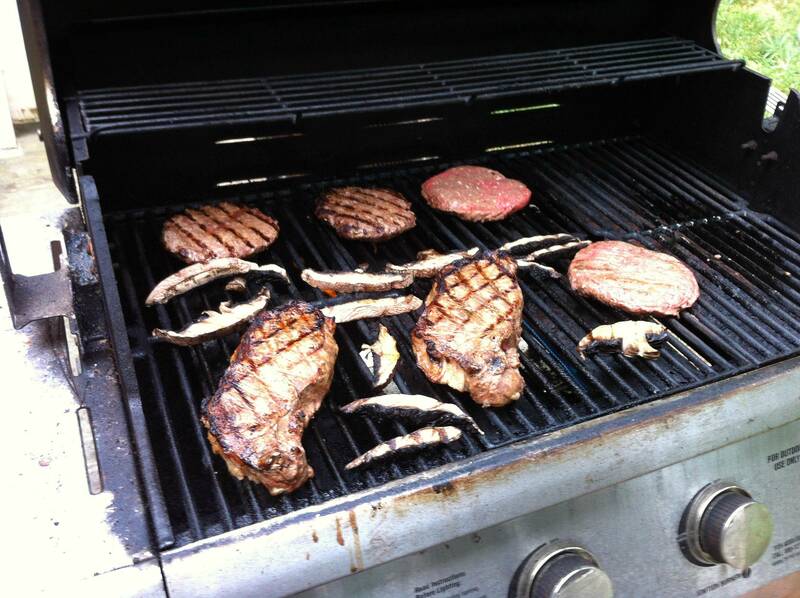 Pingback: Fun, Yummy, and Paleo Grill Recipes | Oh Snap! Let's Eat!